It was an afternoon full of upsets at the St. Petersburg Open. The third day of the tournament saw three of the top five seeded players in the tournament exit in disappointing fashion. Mikhail Youzhny (Player Profile), Janko Tipseravic (Player Profile) and Fernando Verdasco (Player Profile) all suffered early exits from the tournament at the hands of Guillermo Garcia-Lopez, Roberto Bautista Agut and Sergiy Stakhovsky respectively. After sending Serbia into the World Group Finals for a second time with a victory in the deciding rubber, Tipseravic failed to carry the momentum over to the Russian indoor courts as he fell to Spain’s Roberto Bautista Agut in straight sets. After losing a competitive first set in a tiebreak, Tipseravic simply shut down in the following set. He was incapable of using his own serve effectively and dropped the second set 6-3. The first round exit is a disappointing result for Tipseravic, who was the tournament’s third seed and a favourite to reach the later stages. It appeared that another upset was in the making later on in the afternoon as 2009 champion Sergiy Stakhovsky broke Fernando Verdasco’s serve repeatedly to take the opening set 6-3 in 31 minutes. The Ukrainian, who toppled Roger Federer in the second round of Wimbledon earlier this year, broke Verdasco early in the second set for a 3-1 lead and continued to force errors from Verdasco. He eventually served out the match 6-3, 6-4 in 1 hour and 7 minutes. The world no. 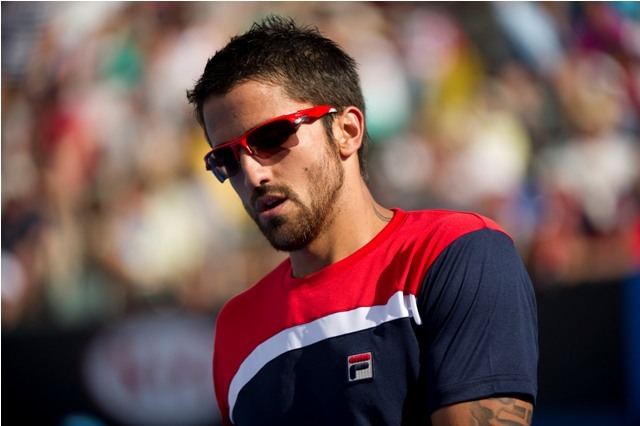 92 will meet Joao Sousa, who defeated Paolo Lorenzi 6-3, 6-4 in the opening round. 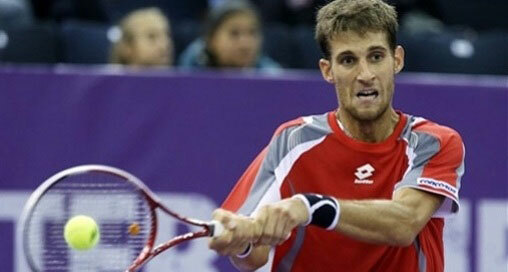 The last singles match of the day was the second round clash between Mikhail Youzhny and Guillermo Garcia-Lopez. The Russian no. 1 appeared hesitant early in the match and was unable to create any opportunities to break serve, while the Spaniard was able to find two break point chances before securing the opening set 6-4. Sensing a potential upset, the crowd rallied behind their top star, who recovered to grab the second set 6-4 and force a deciding set. Garcia-Lopez continued to pressure the world no. 20 and stormed to a 4-0 lead in the final set before Youzhny attempted to mount a comeback. Youzhny held serve and followed up by regaining one of his break but it was simply an attempt to delay the inevitable, as Garcia-Lopez closed out the match 6-4, 4-6, 6-3. One of the only notable players on today’s schedule not to lose his opening match was Ernests Gulbis, who sailed into the second round of the tournament with a 6-0, 6-1 win over local player Mikhail Elgin. The Latvian appeared to be in top form as he won 91% of his points on first serve to rapidly complete the match in 41 minutes. The sixth-seeded Gulbis will meet current Estonian no. 1 Jurgen Zopp in the second round.